Kitchen Roselli is one of those perfect first date places. Or a quaint spot for your birthday. Maybe even a special dinner with mom and dad. Located in East Bend (just 15 miles from Wake Forest University in Winston-Salem), Kitchen Roselli is located in a small house with an inviting porch, dim lighting and some of the best Italian food in the Triad. Owners David and Laura Roselli are doing it right here, and I was lucky enough to meet Laura during my dinner. She is as kind as her food is tasty. You'll want to make a reservation since they're only open for dinner on Thursday, Friday and Saturday nights. The secret about this place is getting out quickly, if you can even call it a secret anymore. After dining here a few years ago, I remembered how much I adored the Tomato Sauce. (I still do.) It's absolutely divine. 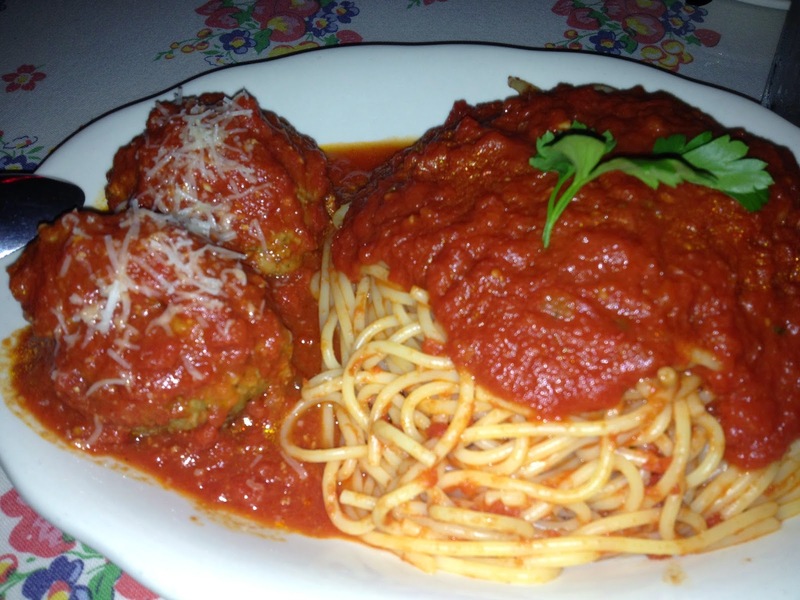 I couldn't get enough of the Spaghetti with David's Award-Winning Meatballs. Beef, Pork and Veal make up some of the most tender, juicy meatballs I can remember having, with just a touch of Pecorino Romano and Basil. The tender, al dente noodles hold that slightly sweet, perfectly tangy Tomato Sauce, and I appreciated that they weren't shy with the ladlefuls! This is quintessential comfort food, and Kitchen Roselli is where you'll want to get it. One of the evening's specials was Pan-Fried Jumbo Fantail Shrimp (10 of them!) with Texas Pete Horseradish Sauce and Scampi Butter Dip. A side of spaghetti rounds out the dish. 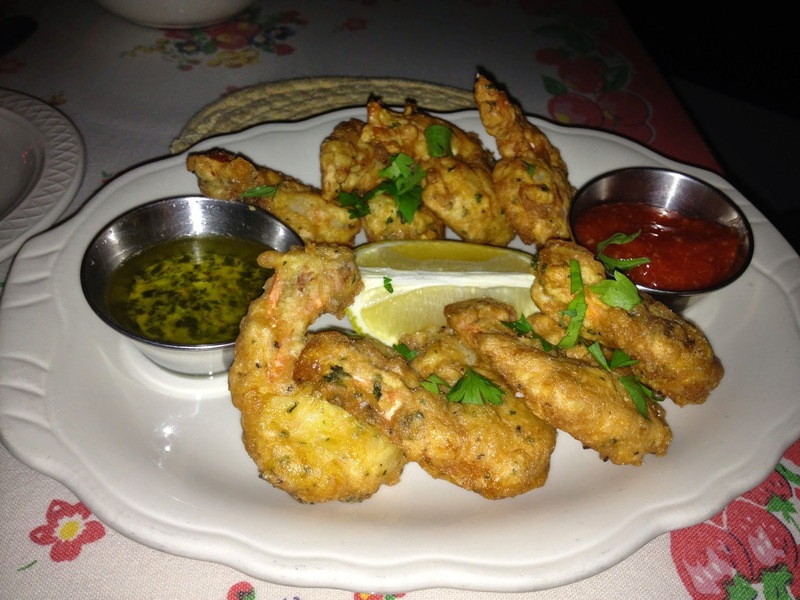 The shrimp are tender and encased by a flavorful breading, not greasy in the slightest. The Texas Pete Horseradish Sauce contains just the right amount of heat, and the Scampi Butter Dip is another fabulous surprise for Laura's Focaccia. If you don't reserve a Cream Puff when you arrive, you'll likely regret it. These gems fly. 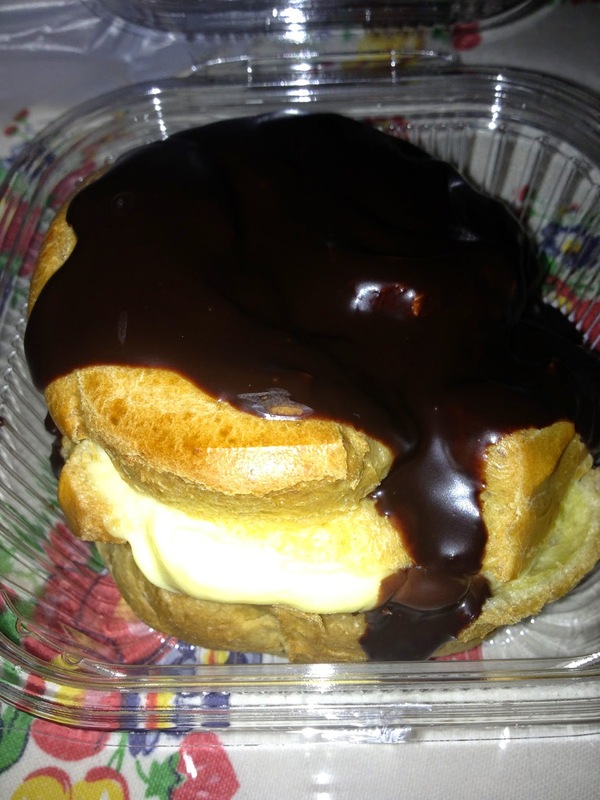 Typically, Cream Puffs aren't my first choice dessert, but this rendition is irresistible. A flaky Puff Pastry houses a thick, rich Vanilla Custard, and is enrobed with a blanket of Dark Chocolate Ganache. This dessert has it all. It's so satisfying, but oddly enough, it doesn't weigh you down. I have fallen hard for this place. Winston peeps, you have no excuse to not cruise the beautiful drive out Highway 67 (aka Reynolda Road) and experience this. Greensboro friends, it may be a bit more of a hike, but trust me, it's well worth it. The atmosphere is charming and the food will bring you back.